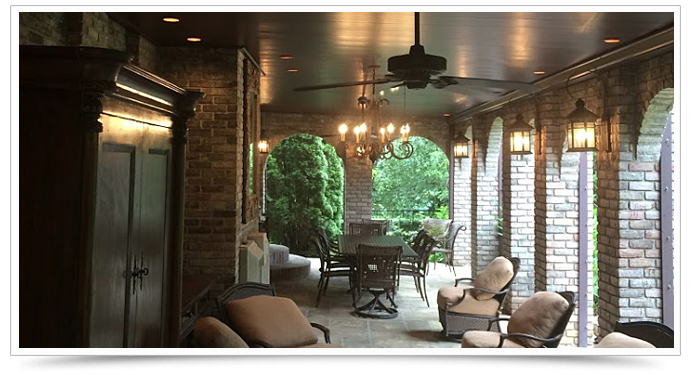 Start enjoying your transformed space under your deck today. We will not be undersold! We manufacturer our own underdecking systems in-house and can pass those savings onto you. We provide a superior product in both quality and design with proprietary patterns to meet any style. Give us a call or email to get more details and receive your FREE ESTIMATE. SPECIAL OFFER: FREE Upgrade on panel profile when you sign the contract on the day we come and take custom measurements and offer a quote. Contract and 1/2 down must be completed on the day of the quote to get the special offer. Thank you for giving us the chance to earn your business. We have many referrals and very highly recommended! 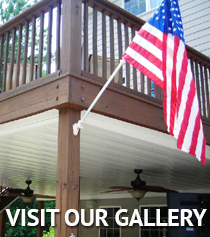 WaterShed UnderDeck Ceiling Systems transforms the space under your deck. With a variety of colors and finishes to choose from – we'll change that dark space into an attractive and usable living area!